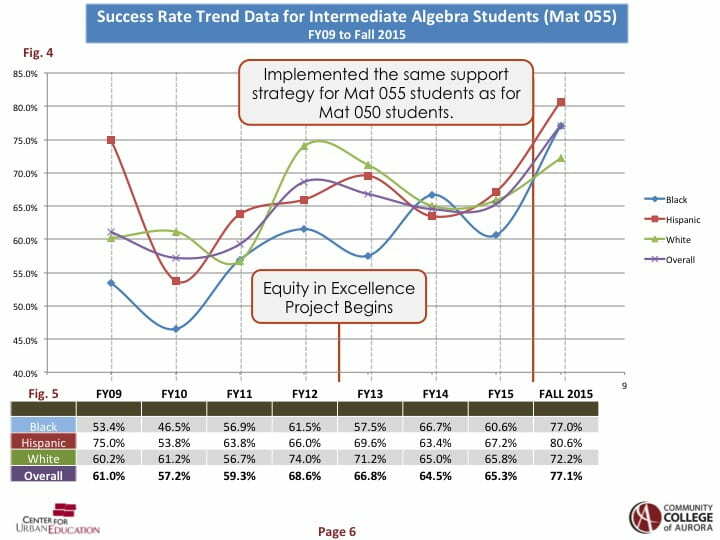 Equity in Excellence, a two-year, $1 million project funded equally by the Ford Foundation and Bill & Melinda Gates Foundation, built on work already underway in Colorado. CUE and WICHE worked with three postsecondary institutions in Colorado – the University of Colorado Denver, Metropolitan State University of Denver, and the Community College of Aurora – as well as with the Colorado Department of Higher Education (CDHE) and the Colorado Community College System to align the state’s higher education policy measures with concrete, equity-focused measures. Over the course of the project, the Colorado Commission on Higher Education and other education and political leaders created a new strategic plan and legislation aimed at increasing the number of Coloradans aged 25 to 34 who hold high-quality degrees and certificates. 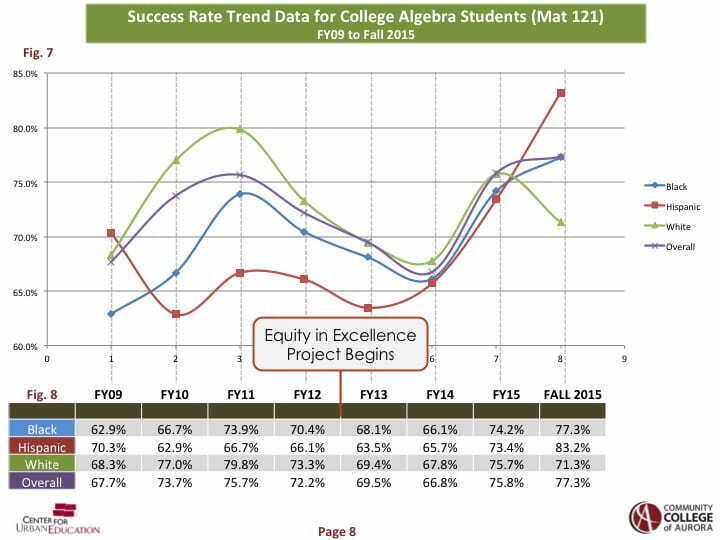 Equity in Excellence assists the state’s public colleges and universities in translating the goals outlined in the plan and legislation into concrete action at the campus level. 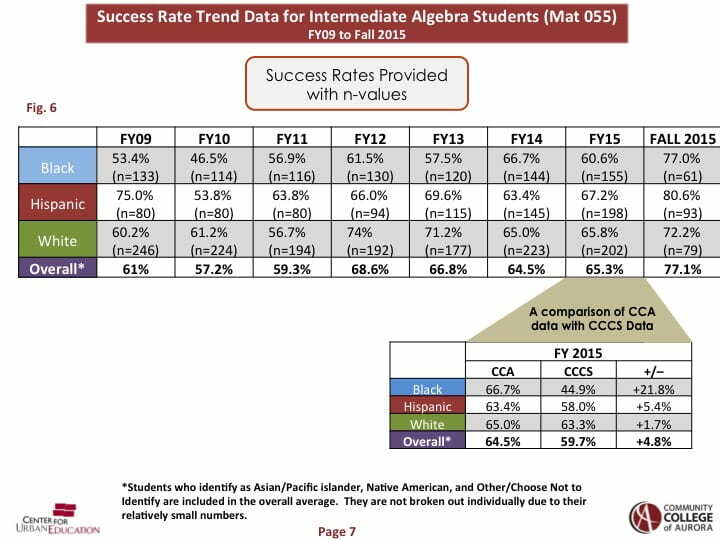 In 2015 the National Science Foundation recognized the work done in Colorado, and funded a conference for Math faculty, hosted by CUE and the Community College of Aurora. 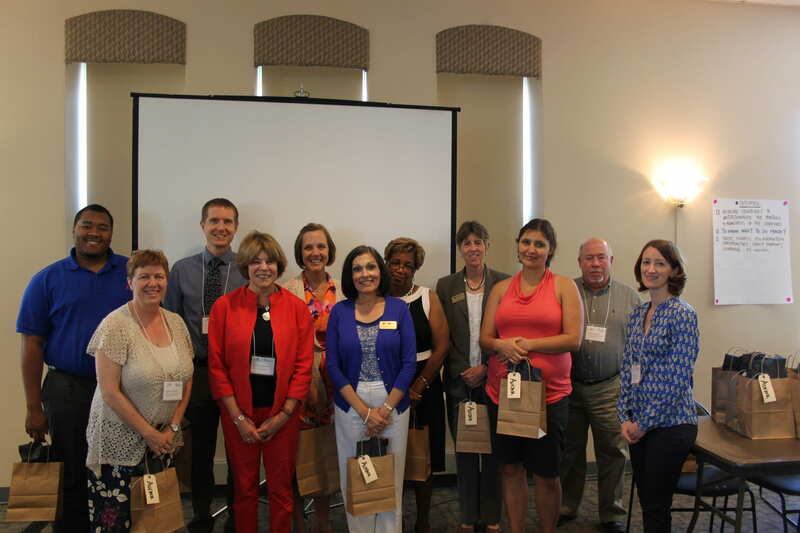 Over 40 individuals from nine Community Colleges attended the Broadening Participation in Mathematics through Practitioner Inquiry conference in Aurora, Colorado. 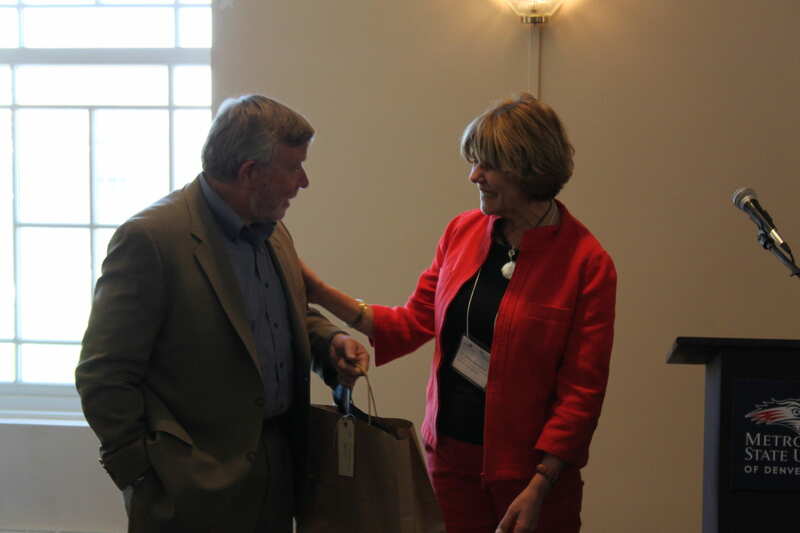 The two-day conference, sponsored by the National Science Foundation, brought awareness to community college practitioners about equity-minded practices in mathematics. The results of the work were most apparent at the Community College of Aurora. 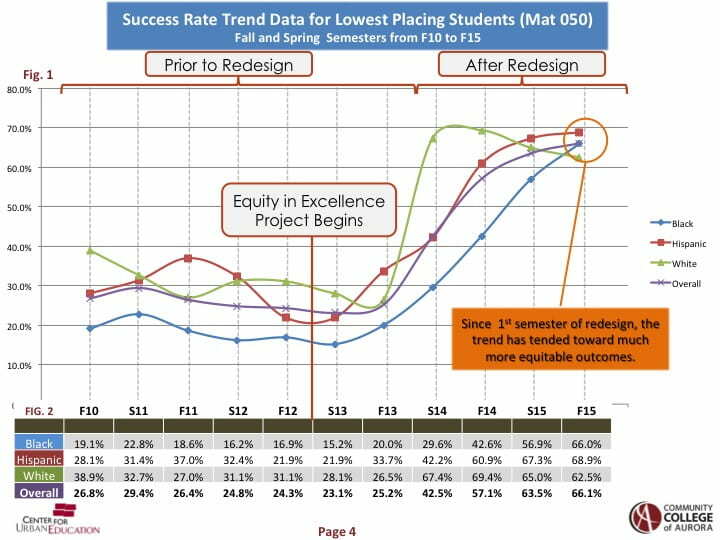 The following graphs show student data before and after a Mathematics department redesign, which was part of the Equity in Excellence Project. Download the full document here, or by clicking on the images. 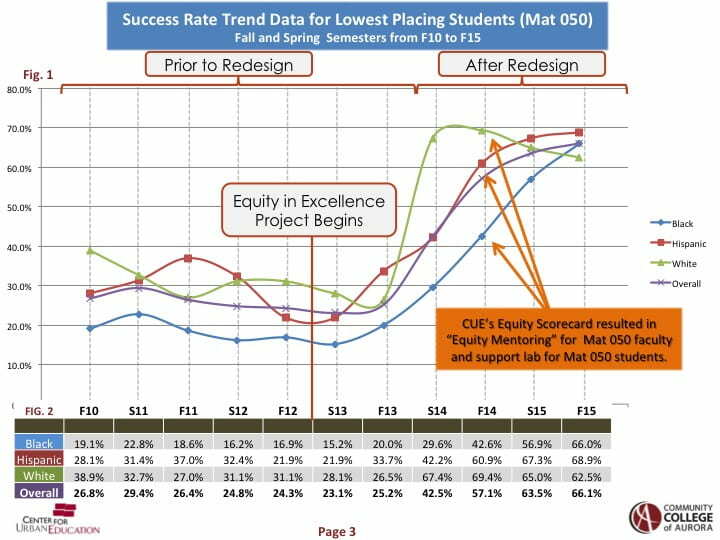 This project expanded on CUE’s Equity Scorecard model, which is built on a theory of change that emphasizes facilitated data inquiry and integration of equity into goal-setting and accountability. 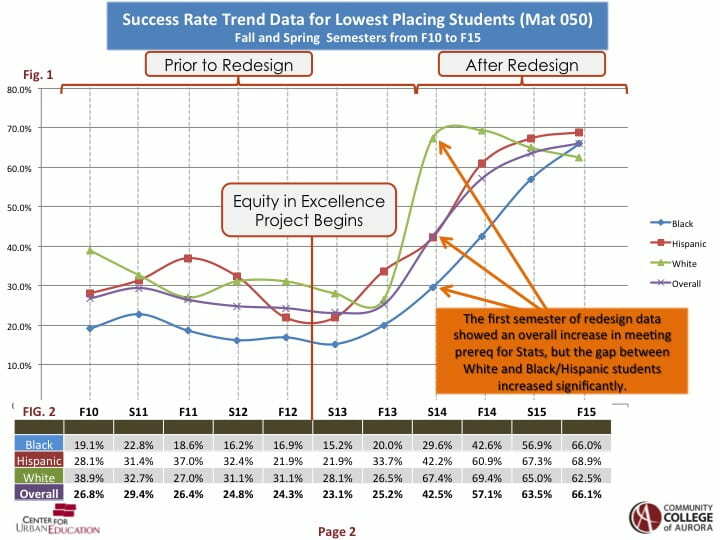 This takes the next step in focusing on the alignment between state, system, and campus-level priorities and efforts. 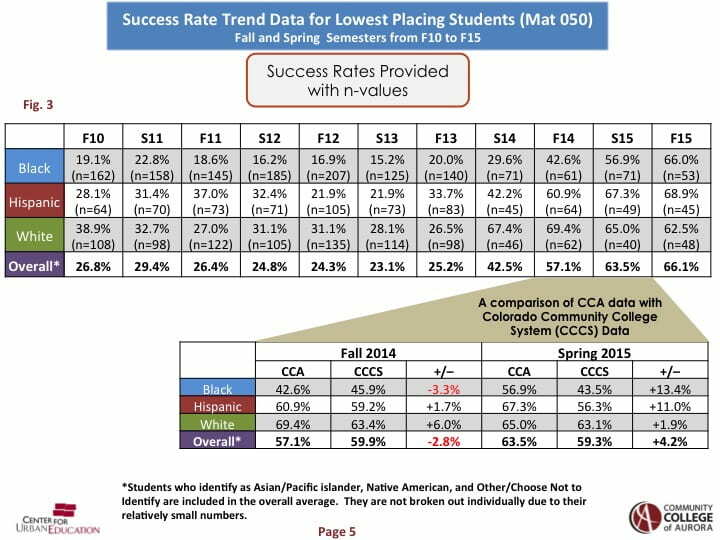 CUE’s data, benchmarking, and process improvement tools for organizational learning and change will be adapted to address the unique opportunities and challenges in the Denver region. The project also expands the partnership between CUE and WICHE, a nationally recognized higher education policy organization whose mission is to expand educational access and excellence for all residents of the west. 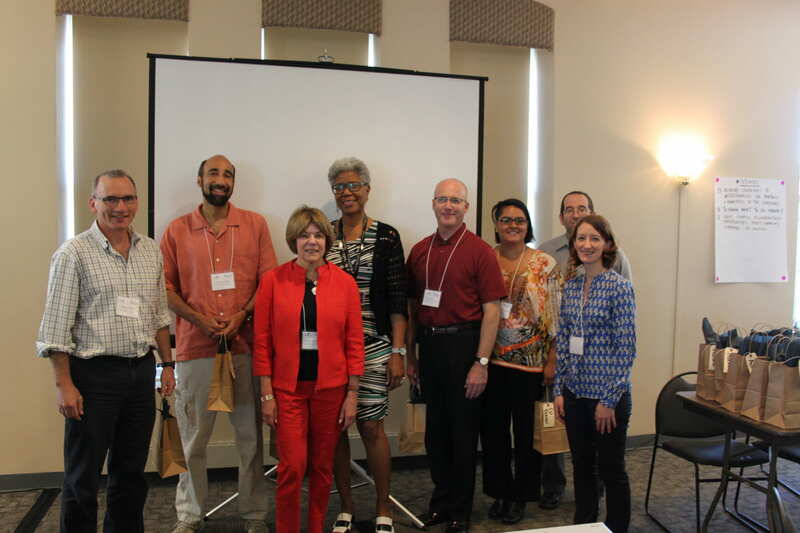 In May 2014 the project concluded with a final convening. 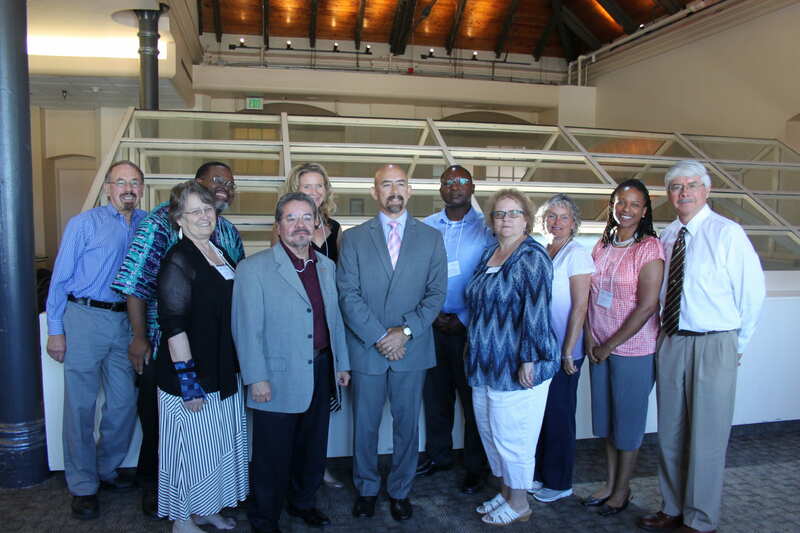 This meeting included a keynote address by Colorado Lieutenant Governor – Joseph Garcia and presentations by the Equity Scorecard teams from Community College of Aurora, Metropolitan State University Denver and University of Colorado, Denver. Betsy Oudenhoven, interim president, Community College of Aurora. Felix, E. R., Bensimon, E. M., Hanson, D., Gray, J. and Klingsmith, L. (2015), Developing Agency for Equity-Minded Change. 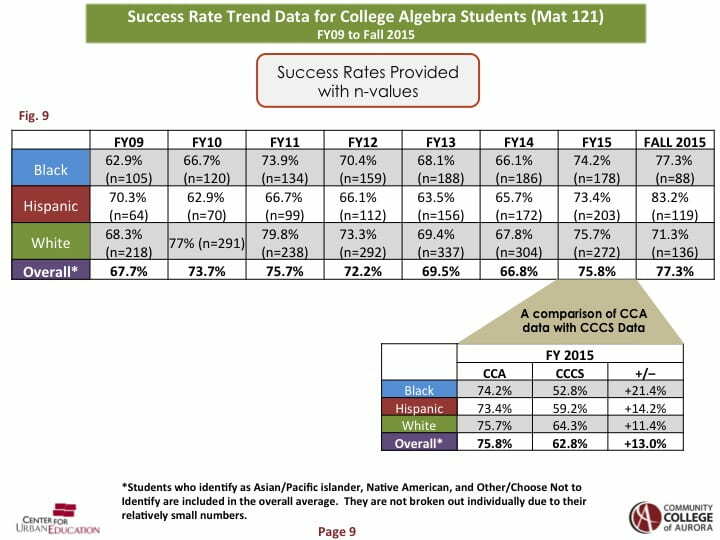 New Directions for Community Colleges, 2015: 25–42.